FORMER REHAB CHIEF and Fine Gael strategist Frank Flannery has said he is “holding his options open” as regards pursuing legal action over the PAC’s inquiries into Rehab. I am just saying what I said and now the matter is in the High Court and it will be definitively adjudicated on there….I’ll make no further comment on that until we get to the result of the High Court action. The answer is have I personal relationship with the Taoiseach now? No. Had I one with him? That’s a different question, I am not sure the situation has materially changed from what it was over the last couple of years. The Committee on Procedure and Privileges last week declined to give PAC permission to compel Angela Kerins and Frank Flannery to attend a public hearing. “Clearly though, the CPP has indicated in its ruling and in the legal advice that when people come before the PAC – and I was a member of the PAC for a number of years myself – witnesses that come before it honestly, that they have to be dealt with, with a degree of respect and also with a sense of fairness and fair play,” Burton said. 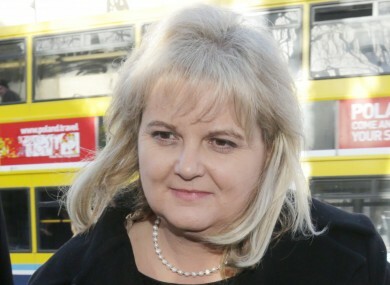 In a statement issued after legal proceedings today, Angela Kerins said that the PAC’s inquiries into her involvement with Rehab is “an unfair; unlawful and prejudicial investigation” against her, and said it raises issues “for everyone individual in this State”. I have attempted through my legal advisors to avoid the legal impasse that has occurred and the unfair treatment I suffered at the Public Accounts Committee. John Rogers is Senior Counsel for Kerins. RTÉ News reports that the injunction is against the publication of any details of her employment or remuneration is being sought. Email “Flannery 'holding options open' on proceedings over PAC's Rehab inquiry”. Feedback on “Flannery 'holding options open' on proceedings over PAC's Rehab inquiry”.